When you need after school care for your child, you want the very best. Plenty of programs exist, but they don’t all provide the kind of quality care and peace of mind you want. Doing a little research to find an option that works well for your child while supporting her development as an individual can be perfect for helping your child succeed in school. Figuring out how to find a good after school program may seem complicated, but our tips help you narrow down the options and know what to look for in a program for your child. After school programs provide supervised care for kids to bridge the gap between the end of the school day and the end of the workday for parents. Instead of going home to an empty house, kids go to a warm, inviting, safe environment with a variety of engaging, educational activities to pass the time. The program typically begins immediately following the conclusion of the school day. Many programs also offer care for school-age kids before school starts each morning, during school breaks and summers, giving you more flexibility to get the care your child needs while maneuvering around your work schedule. Designed primarily for school-age kids and early adolescents, these programs often incorporate homework help or other academic support, personal development, social skills, mentoring, creative projects and physical activity. A quality after-school program provides a safe, stimulating environment for your child in the hours after school ends, often building on the educational aspects of the school day in a less formal environment. Schools: Some schools offer on-site after-school programs for students of that specific facility. The program typically sets up temporarily in shared spaces, such as the cafeteria or gym, for the after school hours. Preschools/daycares: Many preschools and daycares like FishCreek Kids Academy offer after-school programs for school-age kids. Since these facilities are set up to care for kids all day, the programs offer a wide range of kid-friendly activities. A daycare is also ideal if you have younger and older kids. Both can attend the same facility, so you only have to make one stop to pick up your kids. If your child attended the daycare or preschool before starting school, choosing an after-school program at the facility creates a sense of familiarity and comfort. Churches: Another option in some communities is an after-school program at a church. These programs often have a religious tone. After school programs fulfill a variety of purposes for the kids, families and communities they serve. First and foremost, the program provides a safe and stimulating place for your child after the normal school day ends. Quality programs provide a high level of care to ensure kids stay off the streets and don’t have to stay home alone. Safe learning environment: The structured classroom environment of the school day may end with the final bell, but after-school programs often aim to continue a climate of learning and growth in a more interactive, informal way. Kids might perform a fun experiment to build science concepts, for example. Communication skills: Participating in an after-school program can help develop communication skills. Kids interact with their peers and adults who play a mentoring role. This opportunity gives kids a chance to work on communication and social skills. Engagement: The after-school environment keeps kids engaged with a constructive learning environment. A more relaxed setting than the typical school day may help engage kids who sometimes struggle to stay engaged at school. Healthy habits: After school programs typically supply healthy snacks for kids. They also engage kids in active play and physical activity, which is beneficial after sitting at a desk for most of the school day. These aspects can help kids develop healthy habits, including active lifestyles and positive nutritional habits. Parent support: The reality is that many families need two incomes, which means parents need a safe place for kids to go after school. Quality programming provides peace of mind to working parents. The program lends the support those parents need to protect their kids even when they’re at work. Most cities offer several after school program options, but they aren’t all the same. Quality can vary significantly from one program to another. Knowing what to look for in a program makes you feel more comfortable with your decision and ensures your child has a positive experience. Positive relationships: Quality programs support positive relationships among peers and between the students and the adults who provide care. Visiting the program lets you see how the staff members interact with the kids and how the kids treat one another. Are the adults engaging and positive? Do they treat the kids with respect? Do they make the program enjoyable? Do they serve as mentors? How do the kids interact? Do you see cooperation and friendliness or fighting and friction? Safe environment: An after-school program should not only provide a physically safe environment for your child, but should also make your child feel comfortable acting independently and engaging in critical thinking and problem-solving skills. Ask about the typical activities and the expectations for kids. Look at the way the kids act in the program. Do they seem comfortable enough to take risks and engage in those skills, or do they seem intimidated? Do staff members shut down kids’ attempts at independence and critical thinking? Respect, awareness and compassion: The learning that takes place in a quality care program isn’t strictly academic. Programs should foster a sense of self-awareness and awareness of others. Kids learn to show respect and have compassion for others through positive interactions. Motor skills: Programming tailored to a child’s specific age and development level supports growth of physical skills. Through physical activities and fine motor activities, kids develop their gross and fine motor skills. This development is particularly beneficial in younger kids who are still developing balance, coordination and fine motor control. Ask about the types of activities kids do at the program to ensure kids get those opportunities to engage different physical skills. Positive habits: Look for a program that provides nutritious snacks each day. After spending all day at school, kids need a healthy snack to hold them over until dinner. Ask to see the snack menu for the program to look for a healthy, balanced snack selection. Dedicated time for unstructured play and physical activity is also important. Leadership opportunities: Kids grow significantly when they have a chance to develop leadership and decision-making skills. Programs with choice built into the activities provide those decision-making opportunities. Some programs may also give older kids a chance to play leadership roles, mentor younger kids and otherwise develop as a role model. Any opportunity to let kids rise to the challenge to stretch themselves can build a foundation for leadership skills and opportunities in the future. The benefits of after-school programs can begin right away. Kids quickly become a part of this unique educational learning community with adults and peers working together on engaging projects and activities. Long-term attendance of the program helps develop skills even further, making them habits that kids automatically use. What are the benefits of after-school programs for students? When you choose a quality program, your child can benefit in a number of ways both in school and at home. The unique structure of after-school programming means your child gains access to a variety of activities not typically provided in a traditional school setting. In school, kids spend the majority of the day focusing on academic content areas. In an after-school program, kids gain exposure to art, drama, music and extensive physical activity – all things that are sparse or nonexistent in the regular school day. The benefits hit physical, academic and social areas. Each child is different, but when placed in a quality care environment, kids often show growth in many areas. Improved academic performance: Spending time at an after-school program gives your child a chance to continue learning beyond the school day. After school programs often have dedicated homework time. Kids may get homework help from adult caregivers. That one-on-one attention can help kids understand academic concepts that are difficult for them. Hands-on activities with an educational component help kids make connections and learn new concepts without realizing they’re learning. Those activities might ignite a new interest in an academic area that makes your child more engaged in the classroom. Kids who attend after-school programs may also have better attendance and a lower dropout rate, two elements that are key to academic success. Improved social skills: After school programs give kids a chance to interact with other peers and adults. The mixed age groups develop understanding for kids who are older or younger. These programs have a more relaxed environment than the school day, so kids interact with one another in a more natural way. Kids also learn how to interact with the adults who provide care. Those social skills transfer to the classroom and to other interactions outside of school. Kids with stronger social skills may also have higher self-esteem and confidence, which supports success in other areas of life. Improved motor skills: The opportunity to engage in physical activities can help your child develop gross and fine motor skills. Kids may put together puzzles or play games that require small muscle movements. During playtime, kids might play a running game that requires coordination to develop gross motor skills. Improved problem-solving skills: Quality programs engage kids in open-ended activities that require problem-solving skills. Kids learn how to make decisions and how those decisions can affect themselves and others. They learn to look at problems from different perspectives and use the skills they have to find solutions. This skill is important in everyday life and in the classroom. Improved habits: With mentoring from trusted adults, kids learn to develop positive habits. Attending the program on a continuous basis strengthens those habits since the kids get daily exposure to things like being active, enjoying healthy snacks and completing homework in a timely manner. The positive environment of an after-school program may also reduce risky behaviors like drug and alcohol use, especially for older kids. The program keeps kids off the streets and in a supervised environment with positive role models to support healthier habits. Kids aren’t the only ones who stand to benefit from choosing a quality after-school program. Parents and families gain a lot from enrolling their kids in quality programming. As a parent, you’ll likely see positive changes in your child, which reinforces your decision to send your child to the program. Peace of mind: You can’t always be there after school, so finding a quality program can be a huge weight off your shoulders. You know your child is in a safe environment under the supervision of trusted adults. Kids who go home alone may face potentially dangerous situations and make poor decisions in the absence of adult supervision. After school programs eliminate that worry, so you can focus on your work knowing your child is safe and happy after school. Support: Working parents have a lot to handle. Experienced staff at an after-school program can provide support for your child, such as homework help. Staff members may have an educational background or extensive experience working with kids, which lets them work with your kids on academic topics effectively. You may also find the staff can support you if an issue comes up. For example, if your child suddenly starts struggling in school or starts acting out with negative behaviors, the staff can work with your child to support the efforts you’re making at home to improve the situation. Uninterrupted work: Many programs provide transportation from your child’s school to the care facility. That service means you can continue working uninterrupted. You don’t have to leave work partway through the day to transport your child from school to the facility, and you don’t have to hire another person to handle the transport. This ability to continue working increases your productivity by letting you focus on your work. The benefits of after-school programming extend beyond your immediate family. Your community and society stand to benefit from the changes seen in the kids. After school programs keep kids engaged and develop skills that last a lifetime, allowing them to be productive citizens now and later. The benefits can be even stronger with community support for the after-school programming. Critical skill development: After school programs help kids develop problem-solving, team building, language and social skills. With a strong foundation in those areas, students are able to work productively as part of society. The skills follow students throughout life well beyond the school-age years. Those skills also make the students well-rounded and responsible, which can lead to the youth making a positive impact on the community. Students may apply those skills to solve a problem in the community or make it a better place to live. Compassion, empathy and respect: By developing caring, compassionate individuals, after-school programs set the next generation on a positive course toward adulthood. Kids hold on to those skills to develop into compassionate adults who treat others respect and kindness. Compassion also helps kids be open-minded to interact positively with people, even those who are different. Safety: After school programs keep kids off the streets in the transition period that lasts from school dismissal until parents arrive home from work. This aspect is particularly helpful for at-risk youth who might engage in dangerous activities without a constructive way to spend the hours after school. These programs keep the kids safe while making the community safer and more secure. FishCreek Kids Academy operates a quality before and after school program for kids between ages 5 and 12. Our educational programming supports growth in your child in all areas to produce well-rounded individuals in a safe environment. You have a number of after-school care options, and, here at FishCreek Kids Academy, we are proud to provide an exceptional learning experience that’s unlike any other after-school program in the Magnolia area. We take a holistic approach to educating kids. Our programming focuses on the mind, body and community to develop well-rounded citizens. The mind aspect focuses on your child’s academic development. Our goal is to develop problem solvers with independent thinking skills. We want our kids to develop a passion for learning. Growing bodies thrive through exercise, healthy eating habits and development of fine and gross motor skills. 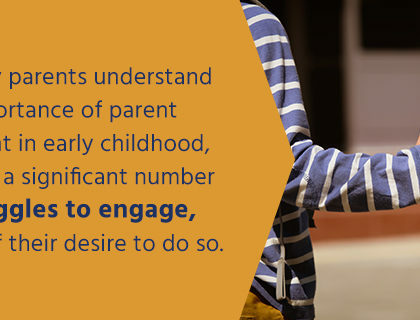 Supporting those habits from a young age helps them stick, so your child continues on a healthy pathway later in life. Our community focus develops an awareness of self and others to foster a respectful environment. We work on incorporating teamwork and sharing to help kids become productive citizens who can work well with other. Friendship is important to us. Fostering friendships helps kids develop the emotional and social skills they need to become compassionate, respectful individuals. Your child enjoys a variety of hands-on activities that disguise learning into fun, engaging experiments and projects. We emphasize STEM experiments that help your child develop critical skills that he can use throughout his schooling and life in general. Additionally, we customize our curriculum to match different ages and grade levels. Instead of getting a one-size-fits-all approach, your child engages in activities that are beneficial and developmentally appropriate. Those activities help to fulfill your child’s academic needs. Our convenient Magnolia location enables us to serve three different school districts in the area. We provide complimentary transportation as part of the before and after school program to five elementary schools. We take your kids to school in the morning and pick them up after school to transport them to our facilities. FishCreek Kids Academy takes a holistic approach to supporting child development in engaging after-school programming. If your child attends one of the five elementary schools where we pick up and drop off, please complete our contact form or call us at 281-259-3474 for more information. You can also send us an email at info@fishcreekkidsacademy.com with any questions you have. You can also register for our online waitlist for the before and after-school program. Enrolling your child in our quality programming gives you peace of mind and sets your child on course for development in all areas.